We'll match you with the perfect music recording teacher today! Check out some of our most popular teachers near Encino, CA including Los Angeles, Long Beach, Glendale, Burbank and Pasadena. It is my experience that no matter what kind of music you end up playing a solid classical piano background is invaluable. I was privately trained in classical piano from the ages 5 - 17 in Los Angeles, California. My teachers were Mary Brady, Mae Gilbert Reese and Jeane Weiss. I graduated from Harvard High School and then graduated from UCLA with BA in art. I am a Los Angeles based artist and composer. Recently I was nominated Best Music Director of the year by the L.A. Weekly for my work on 'Head the Musical' at the Met Theater Los Angeles in 2010. I am currently mounting an opera I wrote at the Met Theater. I have been teaching private piano lessons to students ages 8 to adult for the last six years. d motivated to perform on stage with confidence no matter what their skill level. My lessons focus on reading, technique and basic music theory. I always start my lessons with scales and exercises. This develops good technique and primes the student for music theory. The rest of the lesson is focused on reading and performance. I expose students to different classical composers like Bach, Mozart and Beethoven. Once they have mastered a few pieces, students are then encouraged to study the composers they enjoy the most. It is important for students to enjoy the music that they are learning as I expect them to practice everyday. Really enjoyable lesson. Very pleased. Stop wasting your time - take Robert. I only had the pleasure of taking piano lessons with Robert for two months since I got into Harvard and had to move to the East Coast, but I can confidently attest that he is a phenomenal teacher. To begin with, Robert brings to the table not only his classical training but also an open, creative, out-of-the-box approach. He is extremely knowledgeable and seasons lessons with fantastic facts about composers and pieces which makes everything a lot more interesting and memorable. lessons are versatile and designed to develop several key skills simultaneously. I never really played the piano before but after only two months with Robert I could read notes, develop my technique and actually play two beautiful pieces! If you are looking for a well-rounded, brilliant, cool teacher - search no more. Jan has a protools studio with state of the art plug-ins. Jan has over 20 Grammy winners. Many have recorded in her studio. I teach Cubase multi-track recording. I have been teaching this for 12 years. I have been recording for over twenty years. I tailor each recording session to the persons goals, needs, wants, and styles. After 20 years writing, recording and mixing mine and other people's music, I know these skills inside and out and can share valuable secrets you won't learn elsewhere. I can help you to find a style within the technique and create your own sound while staying within the actual needs of your recording process. Rich is a professional audio engineer, having recorded in NYC and Los Angeles. The average cost of 60-minute music recording lessons in Encino is $85. While the exact cost will vary depending on the teacher, type of lesson, and your location, you should expect to spend anywhere between $80 and $90 per hour. For the best experience, we typically recommend 60-minute music recording lessons. However, students looking for a more affordable option may want to consider a shorter lesson length of 45 or 30 minutes. On average, 45-minute music recording lessons are 24% less expensive at $65, and 30-minute lessons cost 48% less at $45. Curious how much music recording lessons cost in your area? 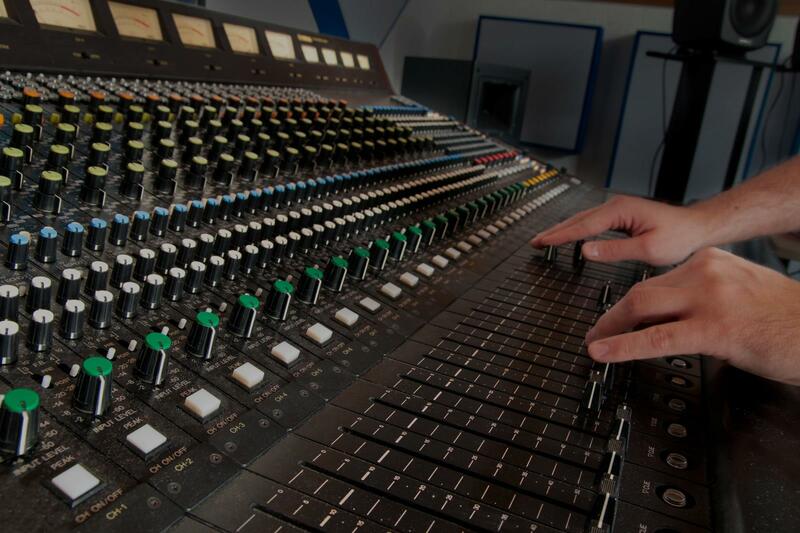 Do a quick search to get local prices for the best music recording teachers near Encino. nuances he brings to the table are always innovative and yet compliment the work. Thank you, Seth, for such a positive experience!!!" "Seth came through in a pinch and was extremely generous with his time, talent and knowhow." t I can litterally throw anything his way that I'm curious about and he points me in the right direction. I've taken guitar, bass, vocal, and even production lessons from Russ. By far the most value I have ever got from an instructor. At first I was a little hesitant because of the higher price than others, but when you start noticing that you are learning stuff other teachers had no idea about, it makes sense to pay a little more for the quality you get out of his lessons. Thanks Russ for all the lessons over the last few years! Wouldn't be where I am today without ya!" Seth worked with us (Martini & Olive) engineering our Medleys — and he was patient inciteful and so helpful — massaging our intricate comedy melodies for our music video. We are a quirky fast funny funky lounge act and he understood our concerns musically and comically. We spent hours with him and he was a joy the entire time. Thanks Seth!"